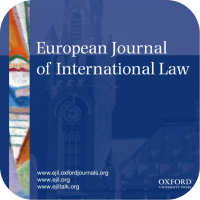 "Status Quo Post Bellum and the Legal Resolution of the Territorial Dispute between China and Japan over the Senkaku/Diaoyu Islands"
Abstract: This article ascertains whether Japan’s possession of the Senkaku/Diaoyu Islands has a legal basis that is opposable to China. It departs from the traditional approach that focuses on historic titles and ancient maps. It applies an alternative approach that is based on the status quo post bellum or the relative legal position of the parties at the end of armed hostilities. This approach is warranted by the practice of China, Japan and the Allied powers of defining the status quo in the East China Sea as a frame of reference for the future disposition of the islands. Primary records of their conduct in the period 1945–1952 reveal consensus that: (i) the islands are part of Nansei Shoto rather than of Formosa; (ii) they remained under the residual sovereignty of Japan and (iii) they were being claimed by Japan but not China. The conduct of the parties proximate to 1945–1956 indicate that there was no prior existing title to the islands that would contradict the status quo. Rather, during the period 1952 up to the critical date of 1970, the positive acts of the Republic of China and the acquiescence of the People’s Republic of China confirmed the status quo. Click here to read the entire article.